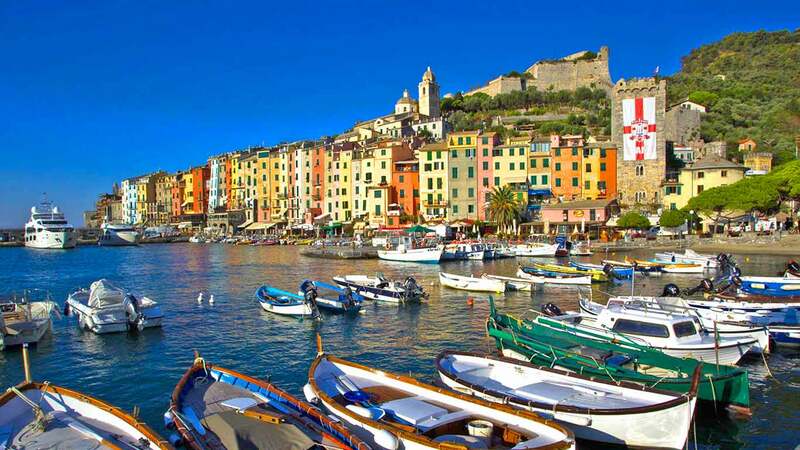 Find some unusual places to visit in Italy for the summer vacation can be the perfect solution to avoid the mass tourism that characterizes the famous locations of the peninsula. Cities like Rome, Florence or Venice are beautiful, but it’s often very difficult to visit them properly. Fortunately, Italy has a lot of amazing spots outside the common touristic routes, some of them are really gorgeous and literally unknown. We have found almost 20 unusual places that we recommend for an alternative Italian vacation. This is the first part of our top 20. The first of our list of unusual places is in the north of Italy. Largely ignored by travelers in favor of the nearby Milan or Verona, Bergamo is one of Lombardy’s finest town. Divided into two parts, the “alta” on top of the hill and the “bassa” at the foot of the hill, Bergamo is a charming walled city with lovely little winding streets where you can pick up a gelato and eat it in Piazza Vecchia, one of the loveliest square in Italy. Bergamo and its surrounding area are very romantic and are perfect for a short break, is also the perfect base from which to explore the Lombardy countryside and the Italian lakes. 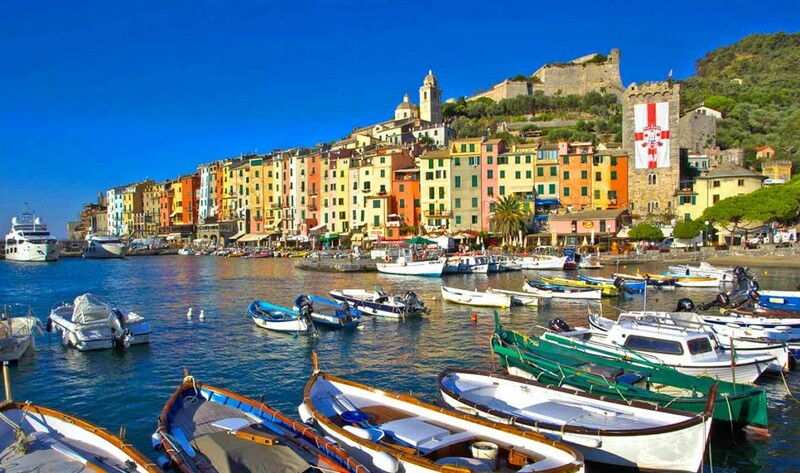 The five Cinque Terre coastal villages to the north are better known but are also increasingly overrun, making Portovenere a pretty, and far more peaceful, unusual place. In 1998 it obtained for its architectural heritage and natural entry in the list of protected World Heritage Site. Very famous are the beaches of the area, thanks to crystal clear water. Among the natural places of the Porto Venere area are the Byron caves (cave of the Arpaia), the Azzurra (semi-submersible) and the Tinetto. Many unusual places are often nearby the most famous Italian cities. For example, just 20 miles away from Venice a real treasure live under the shadow of the most visited city in Italy. 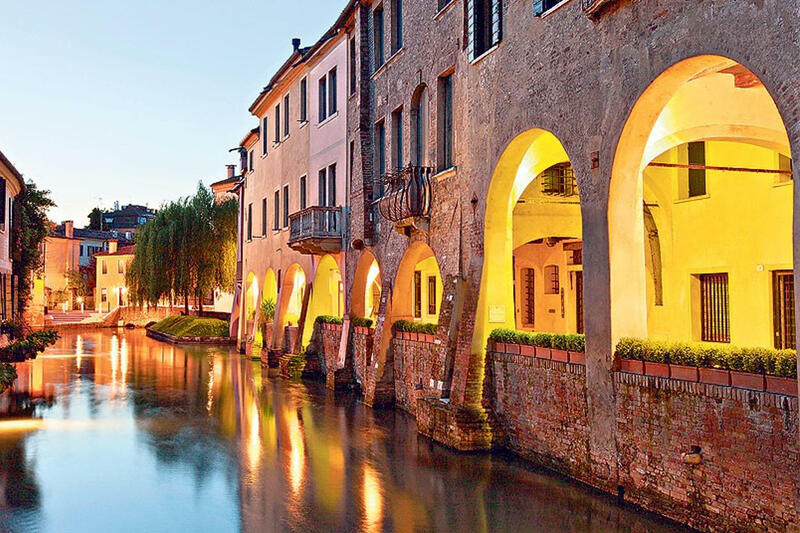 The center of Treviso is a little-walled city, with medieval gates, narrow, cobbled streets of arcaded rose-red brick and stone that twist and turn like dried-out water courses. Just like Venice many canals run past small gardens, glide beneath houses, appear at street corners. Some points of the city are marked by some mills with black water-wheels that once had a commercial purpose, that today playing a purely decorative role. 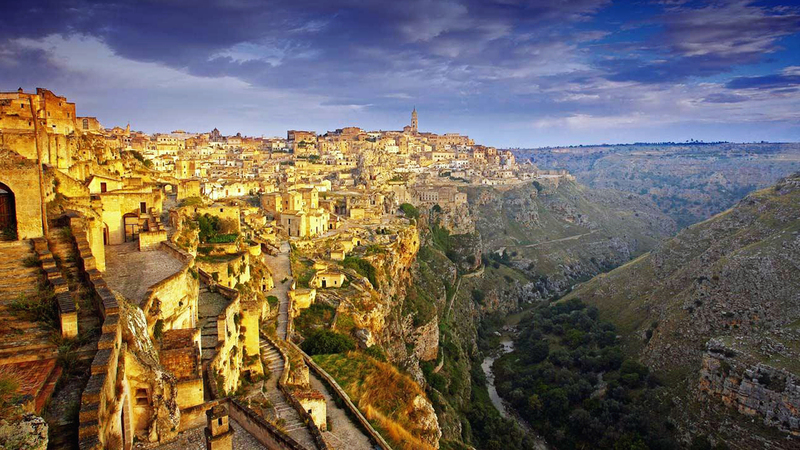 Among the unusual places to visit in Italy, Matera is maybe the more unique. Fifty years ago, Matera was one of the poorest towns in western Europe, with some 20,000 people crammed into the Sassi, a honeycomb of ancient cave dwellings exposed on the ravine below the town. Matera was cleared in the Sixties but now some 2,000 people have returned, along with cafés, hotel, galleries, and restaurants, sparking a renaissance of the city. The spur on the heel of Italy, the Gargano is a national park with long, sandy beaches, great forests of pine and a geographical location that tempers the summer heat with breezes blowing in from the sea on three sides. The region is still barely known outside of Italy but it’s definitely worth a visit. The coast of Gargano houses numerous beaches and tourist facilities. Mount Gargano is the site of the oldest shrine in Western Europe dedicated to the archangel Michael, Monte Sant’Angelo Sul Gargano.